You have probably heard a great deal regarding the things that might cause Alzheimer’s (aluminum pans, fluoride, lack of mental stimulation) and even a few “woo” things about how to prevent it (Coconut oil, avoiding GMO foods, drinking raw milk) but scientists don’t know enough about this disease to fully understand why it starts. However, what scientists do know is that there are a few things that seem to break up plaque in the brain (such as curcumin) and other items that seem to help the brain improve its memory and recall power. 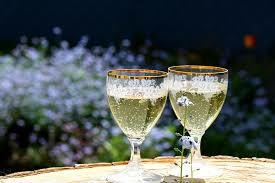 Believe it or not, a study done at the University of Reading in 2013 has found that drinking three glasses of champagne each week protects the brain from dementia and other types of memory disorders by improving spatial memory. 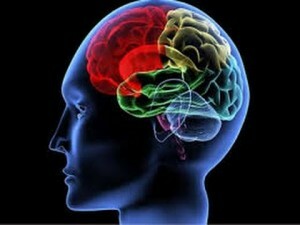 Spatial memory is where the brain records information and then stores it for later use. How can this possibly work? Scientists believe that it’s the phenolic compounds found in the two types of red grapes that are used to make champagne. Red wine has also been found to have similar benefits, but wine’s benefits come from the flavonoids. 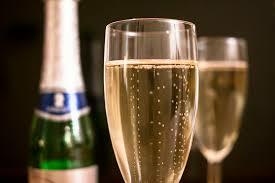 Champagne lacks flavonoids but it influences brain function through smaller phenolic compounds. While the red wine’s healthy attributes, and now champagnes brain, improving function, appear to have scientific backing, you can’t blame scientists for not shouting this from the rooftops. The over consumption of alcohol is a serious problem in America, with 6 out of every 10 people drinking more than the recommended amount. This leads to more health problems than perhaps any other substance. The key here, as with most things in life, is moderation. Note that the study does not suggest three glasses a DAY but three glasses a WEEK. Another good thing to note is that this study was done on rats and not humans. Also, this was a single study and the effects have not been reproduced so this isn’t 100% a sure deal. This is a possibility, not a definite or probable. So while champagne might not be the perfect prevention tool, it’s fairly obvious that it can help when consumed in moderation, since it does contain healthy ingredients. 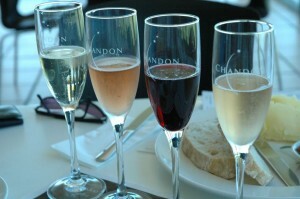 Find a reason to celebrate and enjoy a few glasses of champagne. No need to wait for New Years Eve!